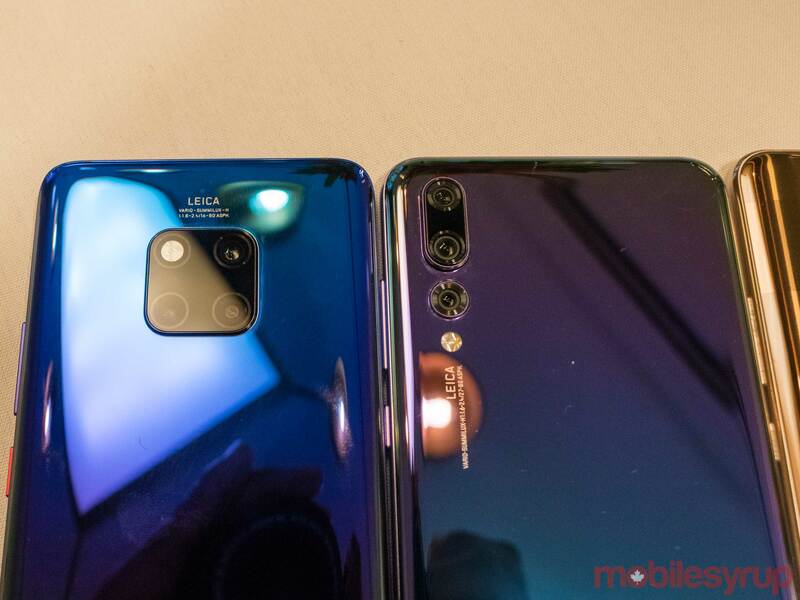 Huawei has announced the Mate 20 and the Mate 20 Pro, the Chinese manufacturer’s latest flagship smartphones. 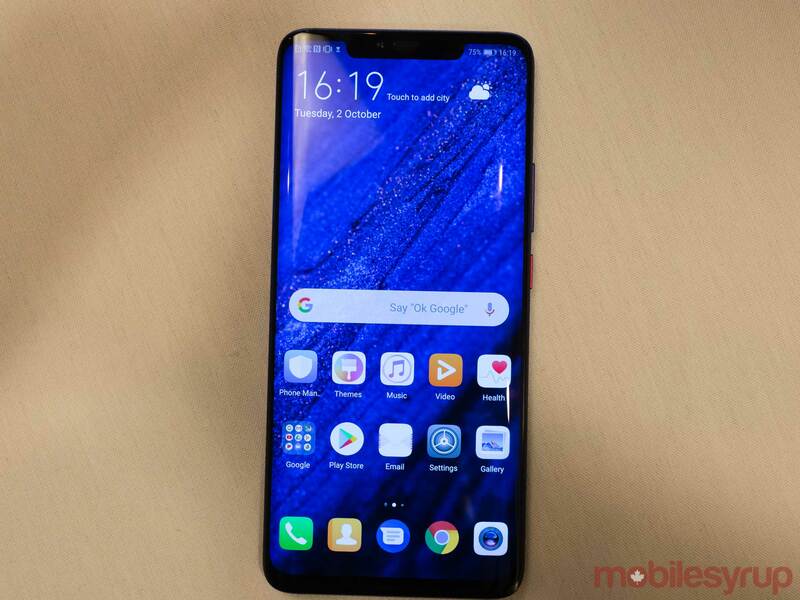 Huawei is only launching the Mate 20 Pro in Canada and not the standard Mate 20. The Mate 20 Pro, features a 6.39-inch OLED display with a 3,120 x 1,440 pixel resolution and a 19:5:9 aspect ratio. The handset also comes stacked with a 3D depth sensing camera with an in-display fingerprint scanner. In my experience, both unlocking methods work very quickly. And according to Huawei, the 3D sensing unlocking is 30 percent faster than the P20 Pro’s already impressive unlocking speeds. Additionally, the phone is stocked with a Kirin 980 processor, 6GB of RAM and up to 256GB of internal storage. Huawei claims the Mate 20 Pro is 20 percent faster and 40 percent more power efficient than its predecessor. Alongside more speed, the phone can livestream 4K video without buffering — depending on your Wi-Fi speeds — and is capable of achieving up to 1.73GB Wi-Fi throughput speeds. 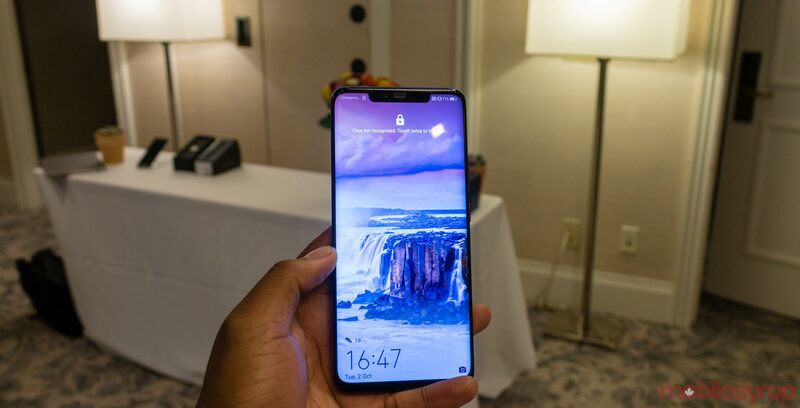 Further, the flagship smartphone features a 4,200mAh ‘safety certified’ battery that Huawei says can charge up to 70 percent within 30 minutes. The phone is also compatible with other Qi wireless smartphones with its reverse charging function. The Mate 20 Pro’s camera sports what Huawei calls ‘Master AI’ that’s capable of detecting more than 1,500 different scenes compared to the P20 Pro’s 500 different scenes. The phone can even detect 27 breeds of dog. Video-wise the Pro features a 4D predictive focus that will attempt to focus on a subject even when it’s moving. As for EMUI 9.0 based on Android 9 Pie, Huawei says it has reduced the settings by 10 percent in an attempt to make things more intuitive and straightforward. The phone also features Easy Projection, functionality that allows the device to work as a desktop computer when connected to a display and a mouse. While this feature was available the Mate 10 Pro and Huawei’s P20 series, the Mate 20 lineup kicks things up a notch, allowing the phone to connect wirelessly to a display. 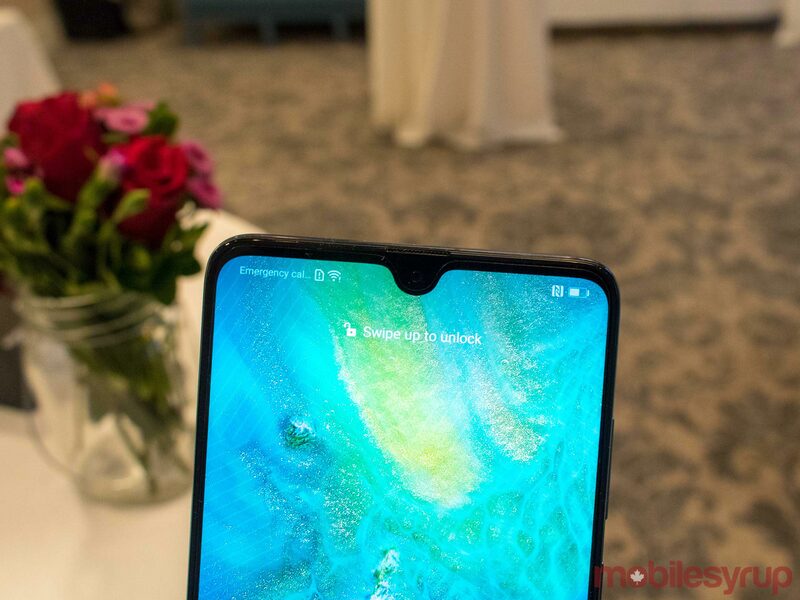 The Huawei Mate 20 Pro will be available in Canada in Twilight and Black at launch. However, other markets will get their hands on Emerald Green, Pink Gold and Midnight Blue. It’s currently unclear exactly which carriers will sell the phone in Canada and how much the smartphone will cost. We’ll update this story when more information is available. Check out our hands-on of the Mate 20 Pro, here.